How can you tell how well a plant is doing when you see the leaves starting to droop? Our first reaction is usually to grab the hose and put lots of water on it because wilting leaves must mean that it’s quite thirsty. Right? The signs of too much water and not enough water are quite similar. Some closer investigation may give you clues on how to best proceed at caring for your droopy plant. First, rake back the mulch around the base of the plant. Take a small trowel and dig an area down a couple inches deep. Then, feel the soil. Is it bone dry, moist or wet? That will help you in determining what it needs. If it’s already wet, no need to add more water around it. If it’s rock hard and dry as a bone, then perhaps adding water will bring it back to good health. Is Your Plant Too Dry? A plant that’s too dry will still send its water/nutrients to the youngest leaves which are typically located towards the ends/outside tips of the branches. So the entire plant may not appear wilted but the oldest inside leaves may begin to droop and often turn yellow or brown and fall off while the outside leaves are still perky and green. Is Your Plant Too Wet? The overall appearance of a plant that may be drowning is all of the leaves will wilt simultaneously. It may have the appearance of a somewhat grayish-green coloration to the leaves. The leaves may take on a flagellated look. Leaves will usually turn from green to brown and remain drooped on the branches. Sometimes even the stems will look ribbed and saturated just below the bark. In those cases, do not add water. Remove the mulch and help the drying out process. 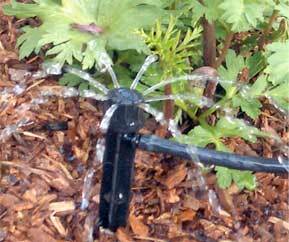 Change the size of the drip emitters to a smaller volume to help eliminate excess water. Having been in the business over twenty years, I have seen my share of ailing plants. Most often it is due to being overly wet even in years of drought. Seldom is it not enough water unless an irrigation system is non-existent or poorly planned. Excess water can come from run off from other areas, lawn overspray, and leaky lines. For areas that seem to never dry out, perhaps some alterations to the spray heads, drip emitters, or grading could be in order to correct the problem. Even adding sand below the foliage will help hold moisture off the immediate plant leaves. 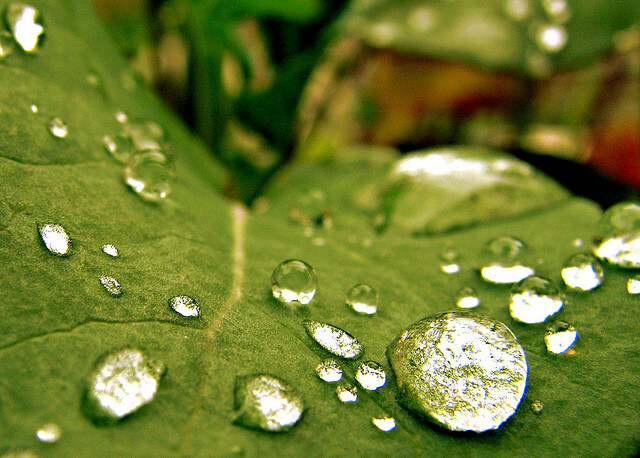 Whatever the reason for the wilting leaves, definitely always take a closer look before simply adding water. Call or click to contact Jennifer for your landscape needs.